Indulge in a rich cup of coffeehouse-style lungo or espresso with this Nespresso Inissia espresso machine from DeLonghi. With a tiny footprint and compact, lightweight design, this smart little coffee machine will make each morning a bit easier. Simply pop in a capsule, select one of the programmable buttons for espresso or lungo preparation, and brew. The fast, 25 second preheating time, combined with the high pressure pump, means you'll be sipping a delicious cup of coffee in no time. With a used capsule container that holds up to 10 spent capsules and automatic power off feature that shuts down the machine after it's been sitting idle, there's less for you to worry about after brewing. The folding drip tray ensures you can use your favorite mug, glass, or travel tumbler, whether tall or short, and the automatic volume control feature ensures you'll always brew just the right amount. 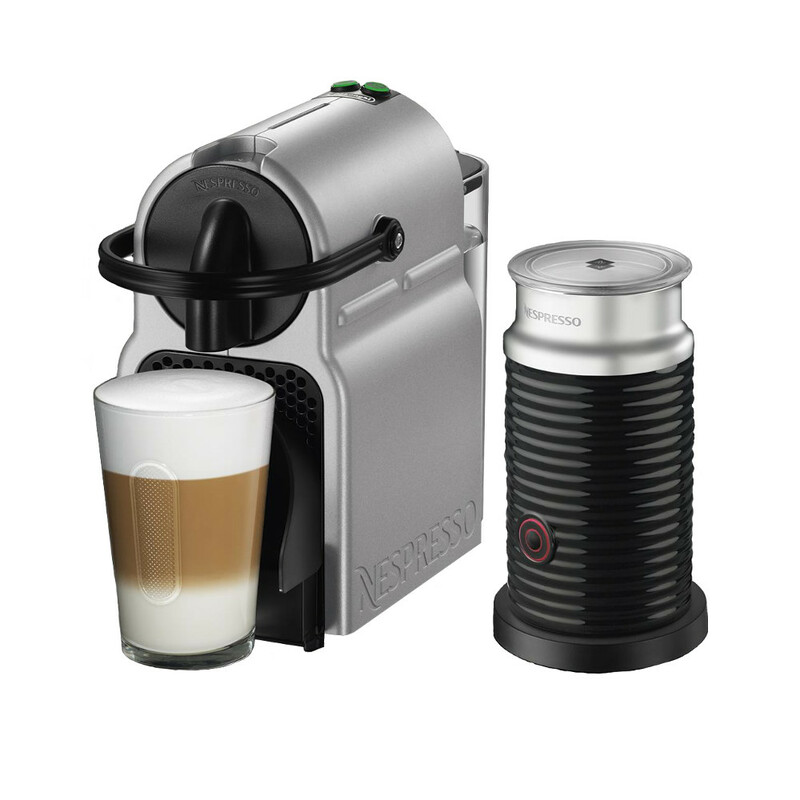 Even better, Nespresso's Aeroccino milk frother is included, allowing you to create light, creamy milk froth for cappuccinos, lattes, and more, all with just the press of a button. Backed by a manufacturer's one year warranty, the Inissia includes a 16 capsule tasting pack to get you started.